Computational Approaches to Protein Dynamics: From Quantum to Coarse-Grained Methods presents modern biomolecular computational techniques that address protein flexibility/dynamics at all levels of theory. An international contingent of leading researchers in chemistry, physics, and biology show how these advanced methods provide insights into dynamic aspects of biochemical processes. A particular focus is on intrinsically disordered proteins (IDPs), which lack a well-defined three-dimensional structure and function as dynamic ensembles. Is there a quantitative relationship between enzymatic catalysis and protein dynamics? Which are the functionally relevant motions of proteins? How can structural properties and partner recognition mechanisms of IDPs be simulated? How can we speed up molecular dynamics? How can we describe conformational ensembles by the synergistic effort of computations and experiments? While dynamics is now considered essential for interpreting protein action, it is not yet an integral component in establishing structure–function relationships of proteins. 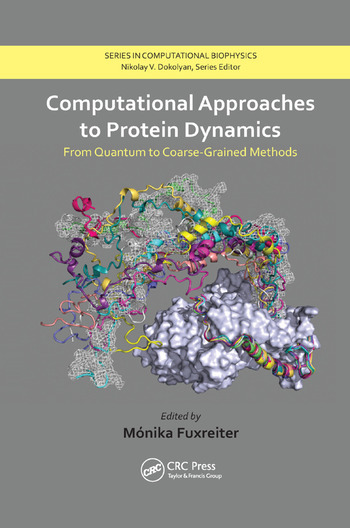 Helping to reshape this classical view in biochemistry, this groundbreaking book explores advances in computational methodology and contributes to the new, ensemble way of studying proteins. Mónika Fuxreiter is head of the Laboratory of Protein Dynamics in the Department of Biochemistry and Molecular Biology at the University of Debrecen. She received her MSc and PhD from the Eötvös Loránd University of Sciences, and was a postdoctoral fellow at the University of Southern California under Arieh Warshel. Dr. Fuxreiter has 20 years of experience working on state-of-the-art approaches for biological systems, including partner recognition mechanisms of IDPs and unique regulatory mechanisms of fuzzy complexes and relationships to context-dependence. "The modeling of biological systems and processes has advanced remarkably in recent years, gradually becoming a legitimate field of research. It has also started to be clear that … structural and kinetic findings emerging from experimental work should be augmented by computer simulations. Some of the progress in the field has been described in the scholarly articles compiled in this book. … the reader should look at the present publication as a report that reflects the current developments in the field, and then make sure when picking a particular approach that this approach actually reproduces ‘reality’." "The book is conveniently structured to simplify the preparation of a new graduate course on biomolecular simulations." "… a comprehensive assessment of the methods for modeling protein dynamics and conformational heterogeneity across multiple spatial and time scales. Each contribution attempts to point the way toward connecting dynamics and heterogeneity to molecular function, thus making for a compelling read."